Folic acid can help in the making of RNA and DNA in the body and is especially vital during times of high growth such as infancy, adolescence and pregnancy. It is important to form red blood cells and to support immune and brain function. The UK Department of Health recommends that all women planning a pregnancy should supplement 400µg of folic acid from the time of planned conception until the 12th week of pregnancy. 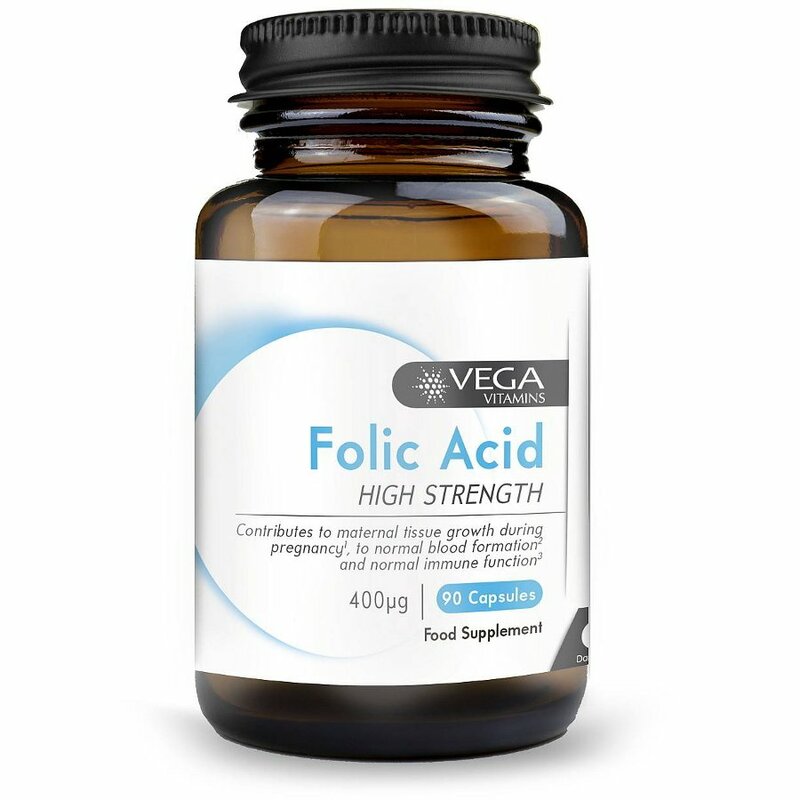 This folic acid supplement is suitable for a vegan diet and is also free from artificial additives, colours, flavours and preservatives; salt, lactose, starch and sugar; corn, gluten, wheat, soy and yeast; dairy, hydrogenised fats, gelatin, genetically modified ingredients, nut and peanut derivatives. As a food supplement for adults, take one to two capsules daily with food or as directed by a healthcare professional. The Vega Folic Acid (Vitamin B9) 400ug - 90 Capsules product ethics are indicated below. To learn more about these product ethics and to see related products, follow the links below. 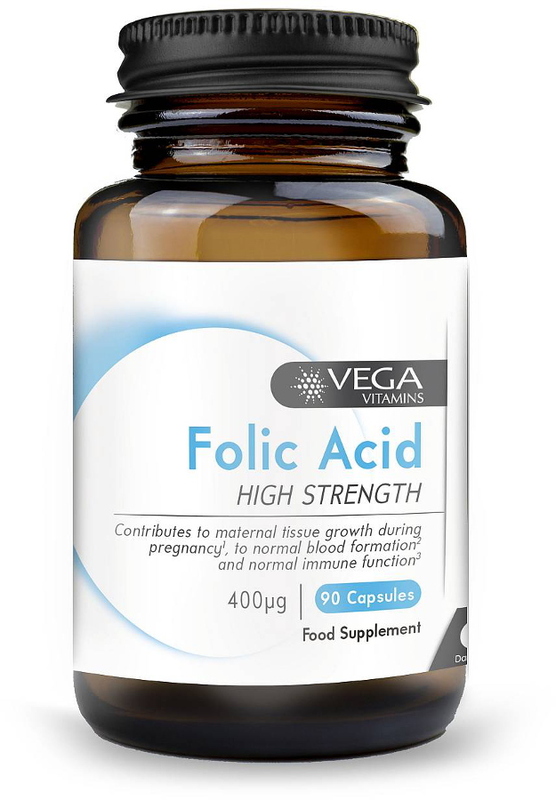 There are currently no questions to display about Vega Folic Acid (Vitamin B9) 400ug - 90 Capsules.